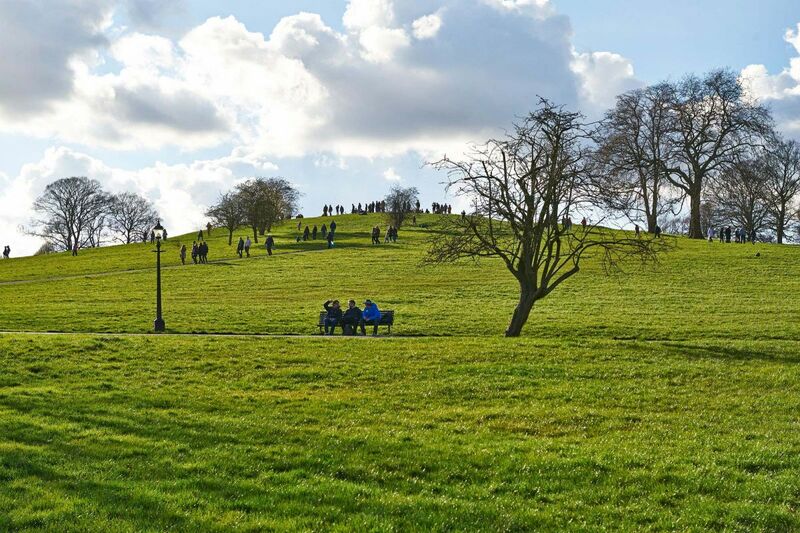 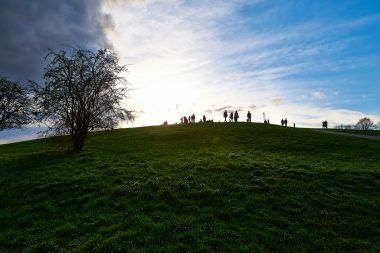 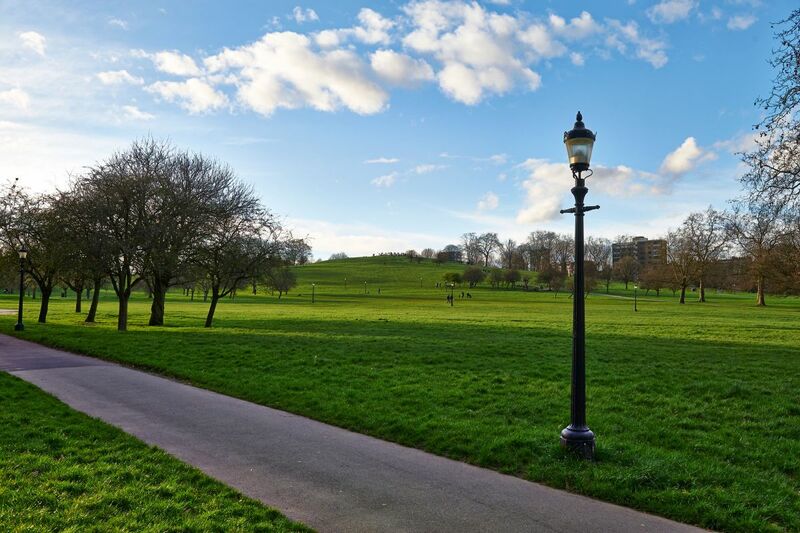 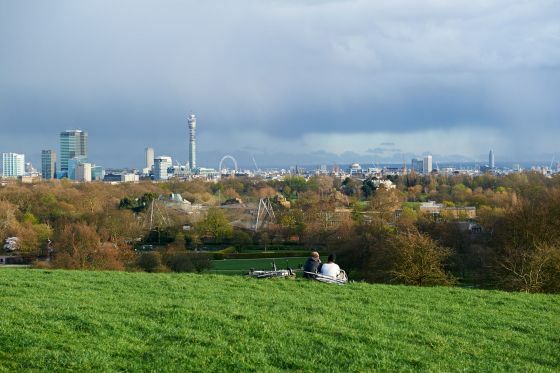 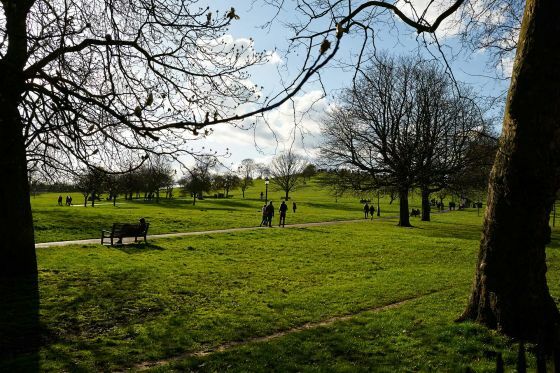 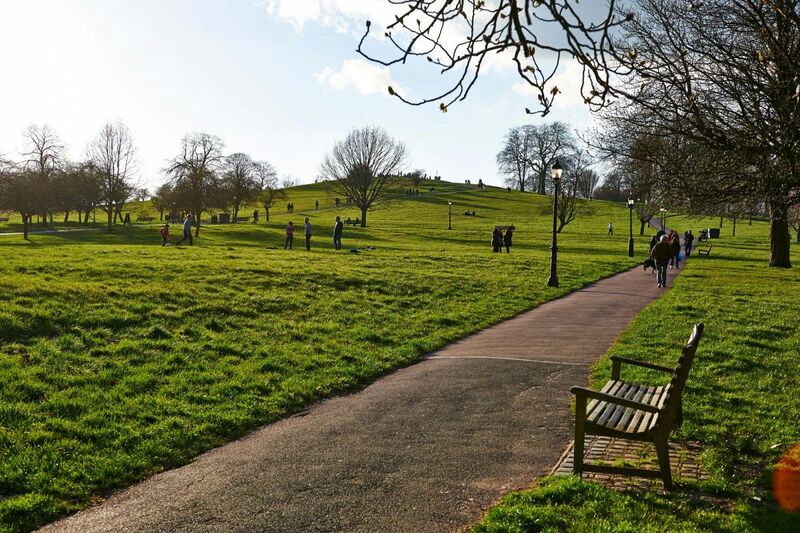 Primrose Hill has a character all of its own, at the summit of this grassy hill are some spectacular views across London. 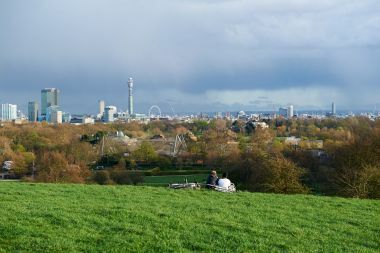 It is separated from Regent’s Park by Prince Albert Road and the ZSL London Zoo. Like Regent's Park, this area was once part of a great chase, appropriated by Henry VIII. Primrose Hill, with its clear rounded skyline, was purchased from Eton College in 1841 to extend the parkland available to the poor people of north London for open-air recreation. 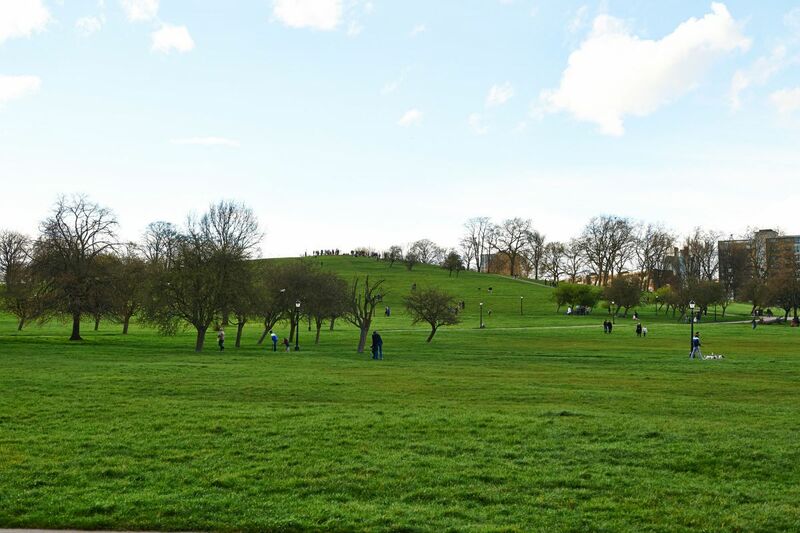 At one time this was a place where duels were fought and prize-fights took place. The hill has always had a somewhat lively reputation, with Mother Shipton making threatening prophesies about what would happen if the city sprawl was allowed to encroach on its boundaries. An oak tree, known as "Shakespeare's Tree" stands on the slope of the hill, planted in 1864 to mark the 300th anniversary of Shakespeare's birth. A large crowd of workmen marched through London to watch the planting ceremony in 1864. A replacement tree was re-planted in 1964.